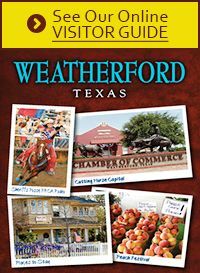 Membership with the Weatherford Chamber of Commerce offers the opportunity to work alongside other business leaders to make a positive impact on our region, making it one of the best places to live, work and build a business. The Chamber offers a variety of membership levels for any budget. From non-profits, basic level to more robust levels for corporations. A membership investment is not deductible as a charitable contribution but can be deducted as a business expense. Questions? Email or call 817-596-3801.